Dutch Prince may never wake up Jump to media player Dutch Prince Johan Friso, injured in an avalanche last week, is in a coma and may never regain consciousness, doctors treating him in Austria say. Dutch prince injured in avalanche Jump to media player Dutch Prince Johan Friso is seriously injured in an avalanche while on a skiing holiday in the Austrian resort of Lech. Doctors treating Dutch Prince Johan Friso, injured in an avalanche, say he may not come out of his coma. Prince Friso, who had been on a skiing holiday in the Austrian resort of Lech, lay buried under snow for about 15 minutes before being rescued. Queen Beatrix and the prince's wife, Mabel, have been to visit him, as have his brothers, Crown Prince Willem-Alexander and Prince Constantijn. 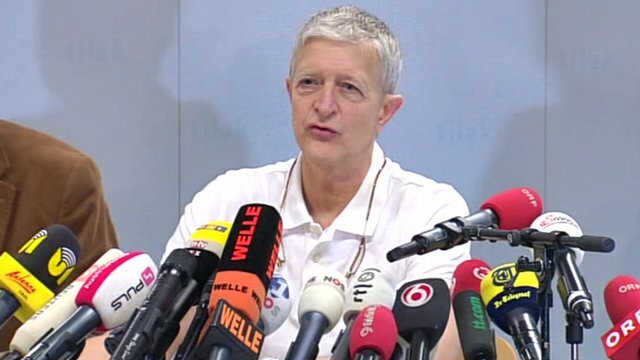 Speaking to reporters in Innsbruck, Dr Wolfgang Koller said it had taken nearly 50 minutes to revive the prince.